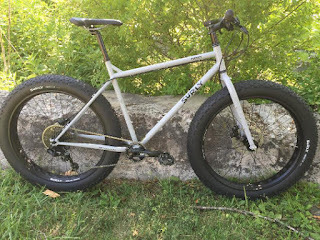 Earlier this year, through a set of circumstances somewhat beyond our control, we found ourselves with a spare frameset for a large Surly Pugsley fat bike. So, since then, we've been collecting spare parts to put it together into a complete bike that we can offer you for sale. 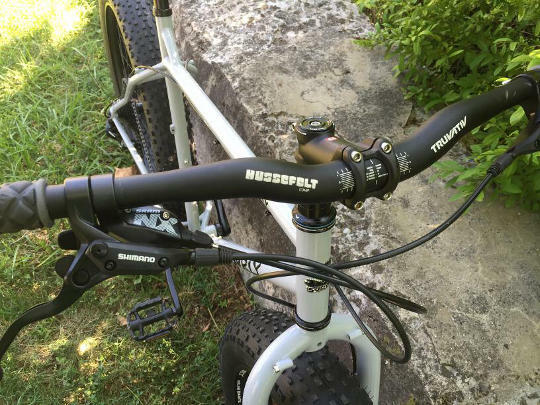 The assembly has finally come to fruition, so that we now present to you the Surly Pugsley NX. 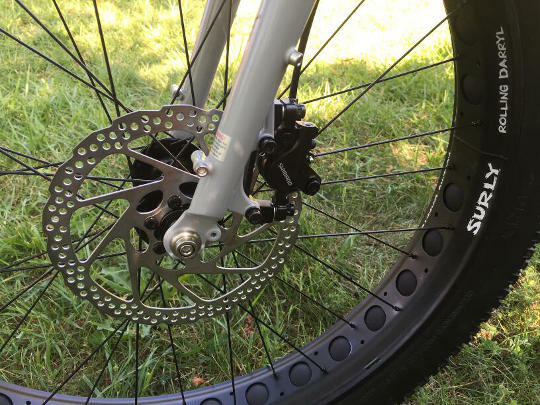 We've used a set of reliable components, including Shimano BR-M396 hydraulic disc brakes with a 180mm rotor up front and 160mm rotor in the back. The wheels feature Surly's 85mm wide Holey Rolling Darryl Rims, 26x3.8-inch Knard tires, and a Shimano Deore hub in the rear and Surly Ultra New Fat hub in the front. 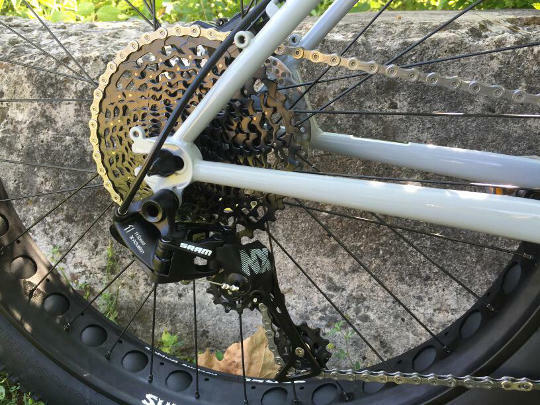 The coolest part about this custom build, though, is that we've chosen to show you the new SRAM NX 1x11 drive train. 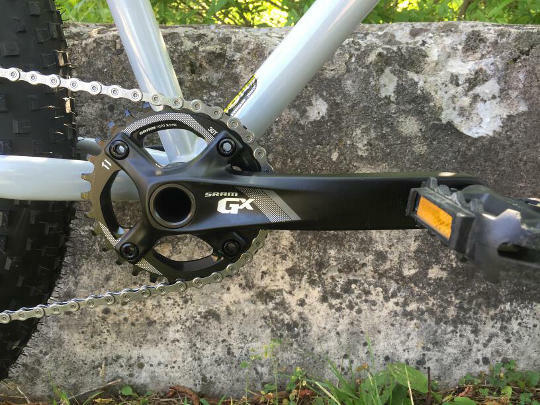 SRAM NX brings 1x11 technology to the masses, with an affordable set of components. What does 1x11 mean, you may ask? It's the technology that may bring an end to the front derailer. You've got only one chainring on your crank set, so there's no left-hand shifter. This makes shifting much easier and more intuitive for the casual rider. The wide-range 11-to-42-tooth cassette on the rear wheel still gives you plenty of low gears to power through those snow drifts or up and down your favorite dirt trails. We've only got one of these bikes; it's a Large size, and it's currently located at the Century Cycles store in Peninsula. Stop by for a test-ride, or give us a call if you'd like to check it out in Medina or Rocky River. For the full details on the parts spec, click here.